Hear ye, hear ye: how can I tell if my child hears? I just watched “The Miracle Worker” with my oldest son. This classic 1962 movie depicts Helen Keller, who was deaf and blind, struggling to understand language, with the help and supreme patience of her determined teacher Annie Sullivan. As I watched the movie, I was reminded about how children depend on their senses to learn about the world. 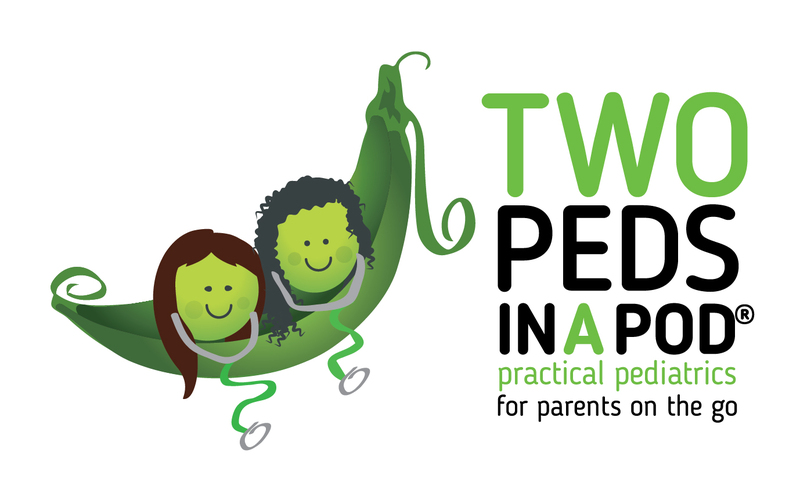 Starting today, Two Peds in a Pod will bring you periodic posts about the early development of senses. We start with hearing. Unlike eyesight, which is limited at birth, babies are usually born with normal hearing. Before leaving the hospital after birth, or by two weeks of age, your newborn should receive a hearing test. Then, at every well child check, your child’s health care provider will ask you questions to confirm your child’s hearing remains the same. Even though they are unable to localize where sound is coming from, newborns will startle to new or sudden sounds and their eyes will open wider in response to the sound of your voice. All babies babble, even deaf ones, but language progression will stop in children who cannot hear. By six months, kids usually babble one syllable at a time. By nine months, children will produce syllables that sound like whichever language they hear the most. At this point they should also respond to their name. Babies who fail to meet these milestones may do so because they cannot hear. For older kids, hearing screening may be conducted in schools or the pediatrician’s office. The American Academy of Pediatrics recommends formal hearing screens starting at four years old. These screening tests can detect subtle hearing loss that parents did not notice. Kids who fail the screen should have a more comprehensive hearing evaluation by an audiologist. Many kinds of hearing loss are either reversible or manageable. The earlier the diagnosis the better. Sometimes speech, behavior, or attention problems are secondary to hearing difficulties. School aged children may mispronounce words because they cannot hear sounds clearly. These children commonly do not distinguish well between the “s,” “ch,” and “sh” sounds (please click here to review language development). Symptoms attributed to Attention Deficit Hyperactivity Disorder such as difficulty focusing or inattentiveness may actually result from hearing loss. Some kids who “just don’t listen” to adults simply can’t hear well enough to follow directions. As your child’s hearing loss progresses, you may notice your child’s language regresses, or that your child turns the volume up on the TV. Your child may accuse you of mumbling or ask you to often repeat questions. Although a common myth, a child who talks loudly is not necessarily deaf. After all, a child does not need to raise his own voice in order to understand himself. We address the topic of listening, as opposed to hearing, in our next post. 1. Most children receive a hearing SCREENING at birth, not a hearing “test”. Mild hearing loss can be easily missed. 2. A passed hearing screening at birth is not a vaccine for future hearing loss! Many hearing losses onset during the first year of life or later, and any parental concerns warrant a diagnostic hearing evaluation by an audiologist! Thanks for posting as so many parents are unaware!